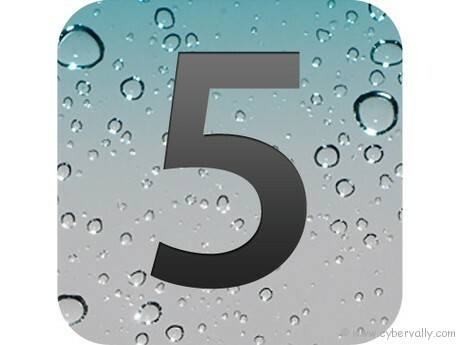 The new iOS 5 is here. 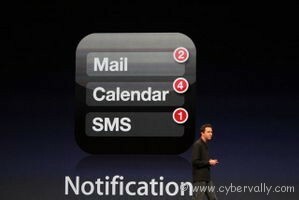 While Apple demoed ten huge new iOS 5 features at WWDC. It brings revamped notifications and more than 200 new features for your iPhone, iPad and iPod touch. These are the top 10. A place for all of your notifications. You can get to it at any time from anywhere, just by swiping your finger down from the menu on the top. Click on an “x” to clear notifications. You will get notidications such as missed calls, texts, apps notifications, or even weather. A better notification’s appearance. All of your newspaper and magazine subscription in one place. This looks very similar to iBooks where all the newspapers and magazines subscribed will be available for reading or listening. Now you can use Twitter account to signin to all your apps just like you use google account on android. This includes the Camera and Photos app. Twitter integration inside iOS 5. You can tweet from directly from photos, youtube, safari, or apps. Safari has been revamped with new features. You can reformat a site on the fly, taking out ads and reformatting text so it looks better on your iPad or iPhone screen. You can email, tweet and do everything from the browser. Reminders help you manage task, and keep on top of all things you have to do. Reminders will be synced with iCal and outlook. Also you can add location-based reminders, remind to do something when you arrived at the destination, or when you leave somewhere. A new camera button right on your lockscreen for quick photos. Many improvements like auto-exposure and Auto-focus lock on the object, pinch-to-zoom etc. Also clicking the pictures can now be done with volume up button on the side of the phone. Rich Text Formatting, which will allow you to annoy the hell out of everyone bolding every sentence in your mails. Also you can control indentation, draggable addresses, message flagging, search entire message, swipe to your inbox and more. With new iOS 5, you won’t need to connect the iPhone or iPad to a PC or Mac. Setting and activating device can be done right on the device and updates will be OTA(Over the air) instead of iTunes in past. Wifi Sync is also enabled with this iOS 5. Game Center gets new options that allows you to add photos, play friends of friends and recommended friends and recommended games. Also you can purchase or download directly from game center. This is new messaging service for iOS customers. Using iMessage users will be able to text message, share photos and videos, real-time conversation between iPhone, iPod touch, and iPad users. These are just some of the more than 200 features. You can download iOS 5 beta 1 and you can install iOS 5 to iPhone 3GS, iPhone 5, iPad 1 & iPad 2, also iPod touch 3rd and 4th generation. It is true factor.. other wise they will become like Nokia symbian….